Providing you the best range of mini offset printing machine, stack mono unit and two color sheetfed offset machine with effective & timely delivery. We are highly experienced firm best known for the quality of our developed Mini Offset Printing Machine. 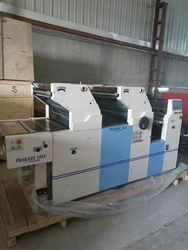 The offered machines are suitable for printing on non woven bags and papers, as it features the most advanced single lever operation for dampening, inking and impression. 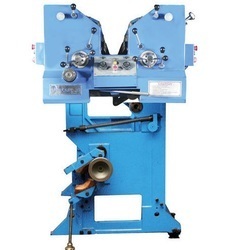 Fabricated with hard chromium-faced cylinders the offered machine is trusted widely for its efficient performance and durability. Further, our prestigious clients can order the high performing machine in varied technical specifications at a nominal price. Since our beginning, we are engaged in presenting a wide range of excellent quality Mono Unit Stack. The mono unit is capable of printing one color on either side of the web. Alternatively, a 2+0 color combination can also be achieved using direct litho printing. The stack unit is identical to the mono unit, but is without the reel stand. The offered unit can be mounted without the reel stand. Also, it can be mounted on a 3-colour satellite to print 4+1, on a mono unit to print 2+2. Moreover, the offered unit is manufactured adhering to industry standards. 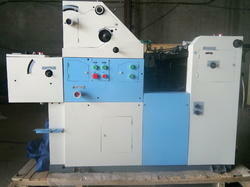 We are manufacturer of Two Color Sheetfed Offset Machine to our clients.